In the back of Pear-Shaped there is a mini guide to my favourite places to eat in New York. In those 40 hours I tried to get round some of the places I’d listed to take photos to illustrate my choices. Best eaten at 3am, after a drunken night in a super-hip underground bar on Great Jones Street that you can only access by crawling through a fire-exit backwards. 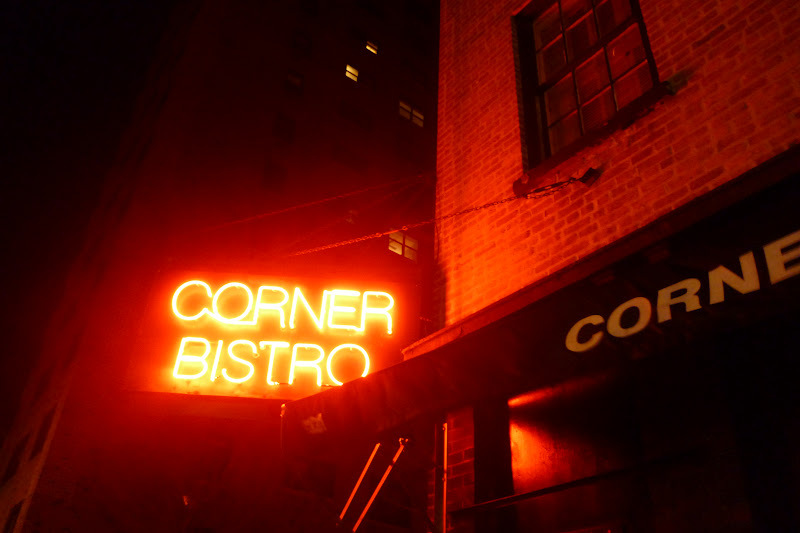 Corner Bistro is entirely to the point: meat, meat, meat. They play rock and roll (but not in a try-hard way, purely in an IT’S 1989! FIRST TIME ROUND! way.) It’s spit and sawdust. 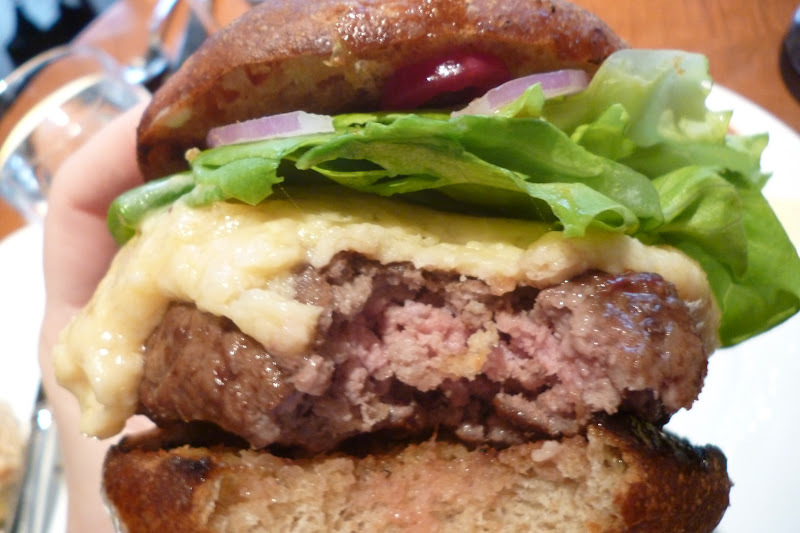 But man oh man: that is a burger. Looks plastique but it so entirely satisfies one’s basest instincts. 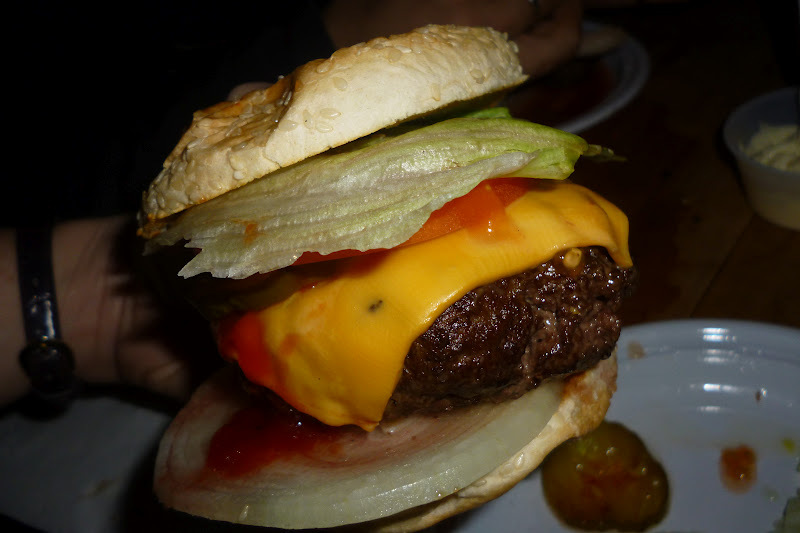 – my favourite New York restaurant evah! – and order their cheeseburger. 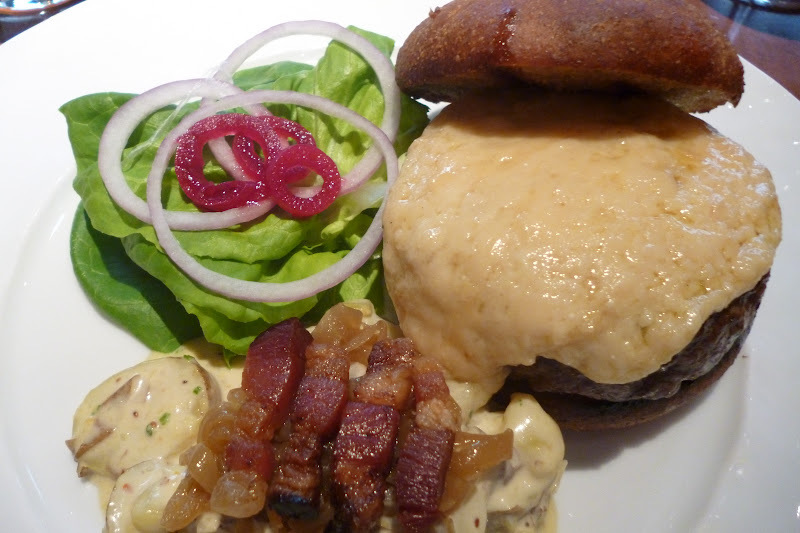 The cheese was Cabot cloth bound Cheddar from Jaspar Hills farm in Vermont. Vermont! Cabot cloth bound! Doesn’t that sound so darn regional and home-made and artisanal and delightful! I don’t know anything about Vermont or about cloth-bound cheeses. What, pray tell, is a Cabot? But quite frankly if she’d said burka-bound I’d have ordered the damn burger at that point. Onwards and upwards. When you’ve had 3 burgers in 10 hours, what your body REALLY REALLY needs is hot chocolate that’s thicker than custard. 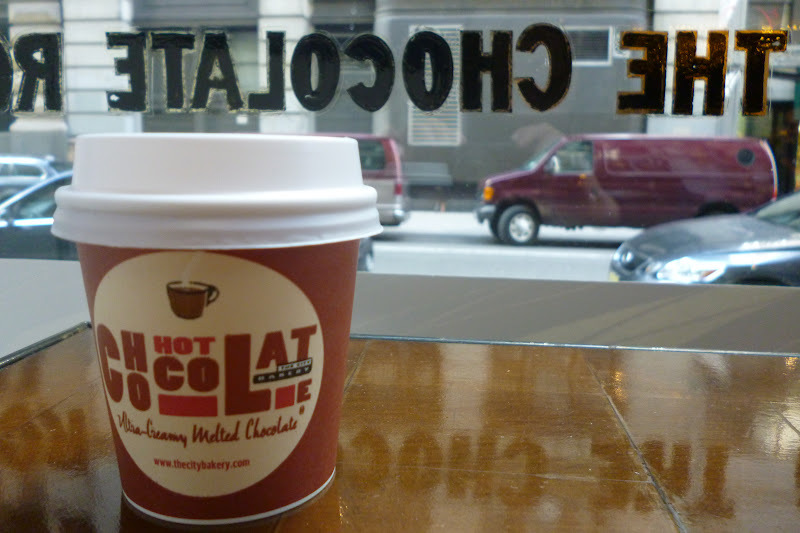 Yes, City Bakery hot chocolate – one of the 7 Wonders of the World. And whatdoyouknow? 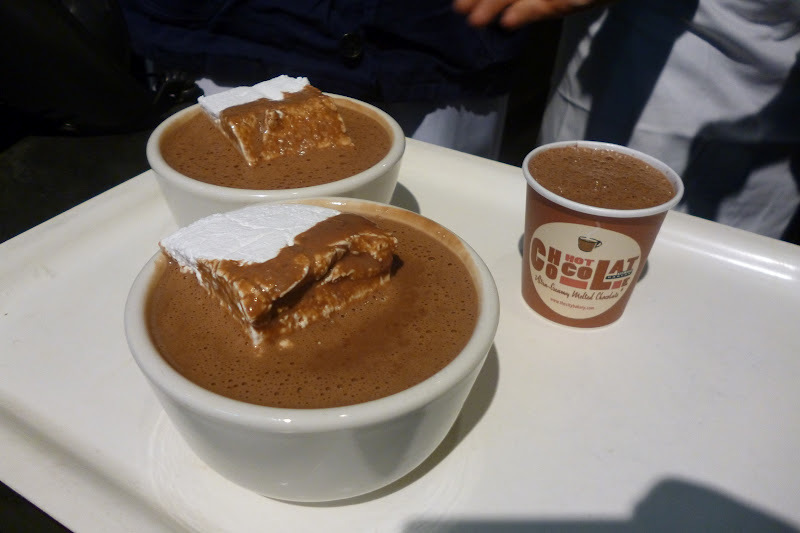 February just happens to be Hot Chocolate month at City Bakery – a different flavour each day, including ‘Super Bowl Flavour’ (with beer) and one called ‘Hot Chocolate On A Peanut Butter Barge’. 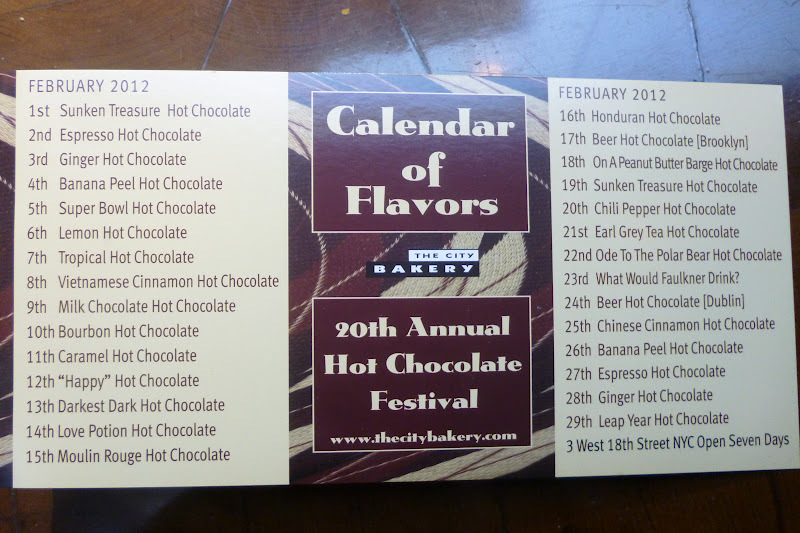 I would trust no other hot-chocolate seller in the world to carry off these flavours. 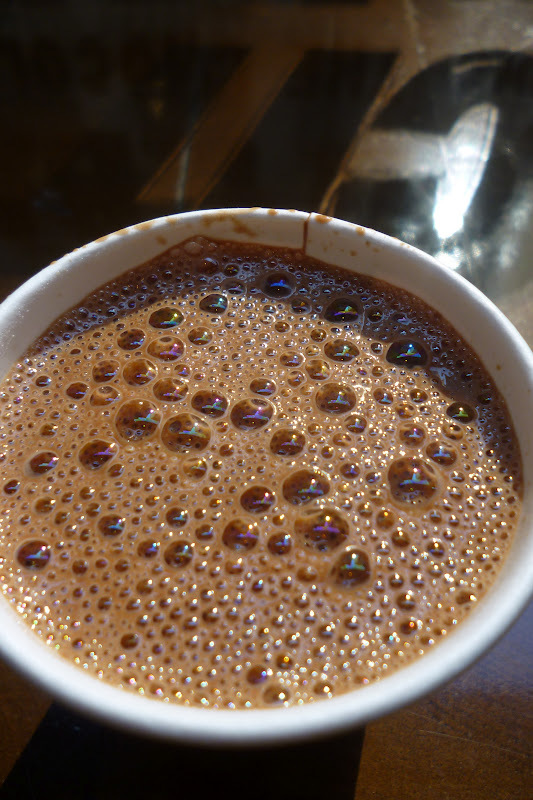 But the hot chocolate here is a drink of such magnificence, a guaranteer of instant good mood – that if anyone can do it, they can. 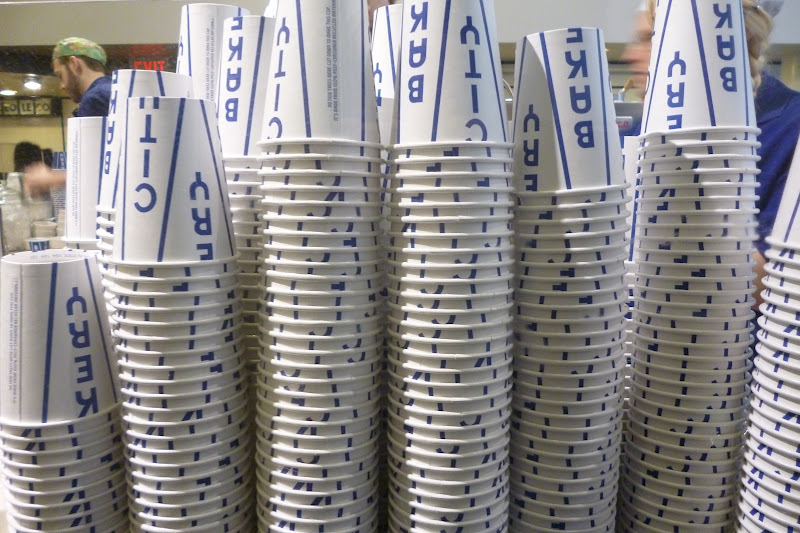 or by various cup sizes. 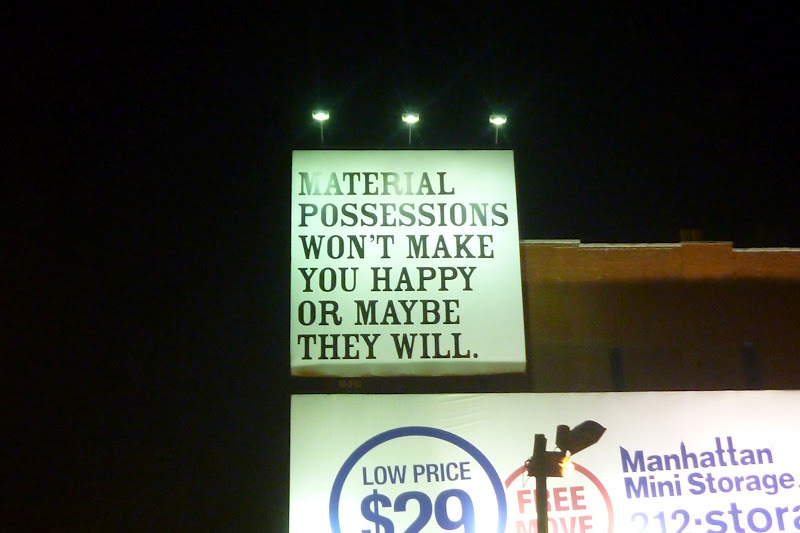 What you cannot do is ever hope to live a non-obsessed life afterwards. I forgot to mention pudding at The Gramercy. 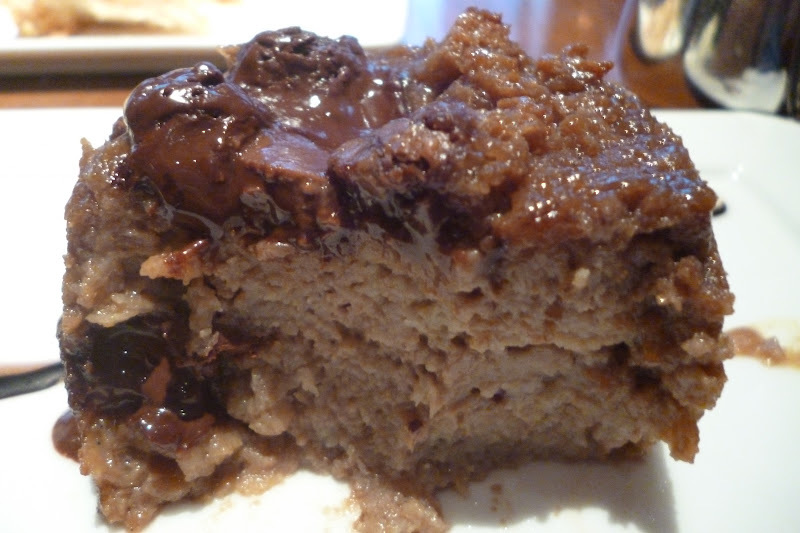 This is the warm chocolate bread pudding (made with brioche) that Sophie and Pauly in Pear-Shaped both trek across town for. 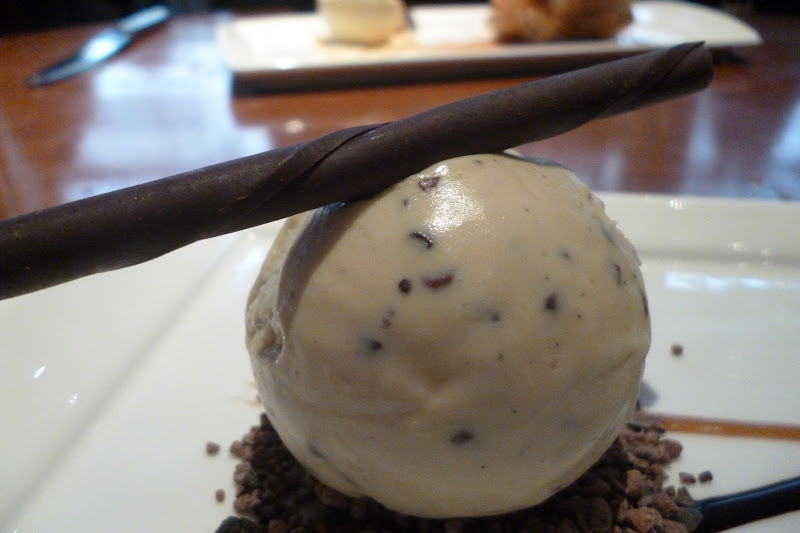 Sure, it looks all fancy-shmancy sitting there with its ice cream companion on a bed of cocoa nibs with a chocolate curl hat. 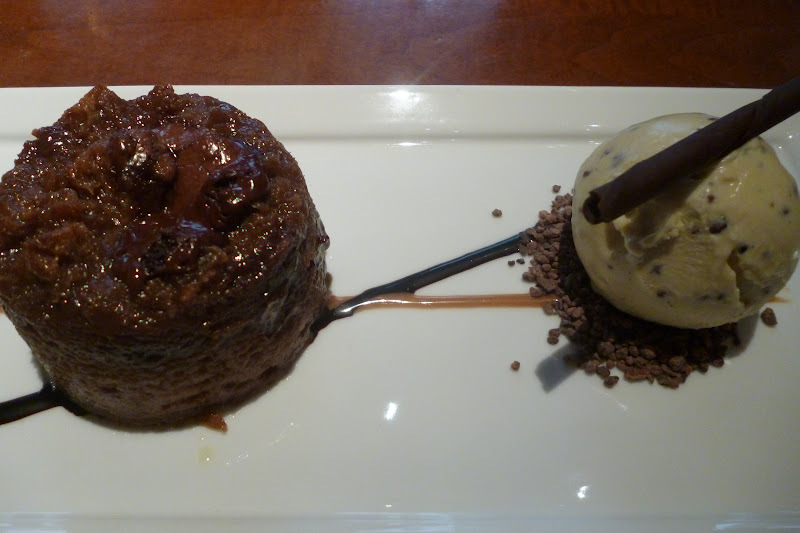 But when you get into it, it’s a squidgy, unrestrained, melting chocolate delight. 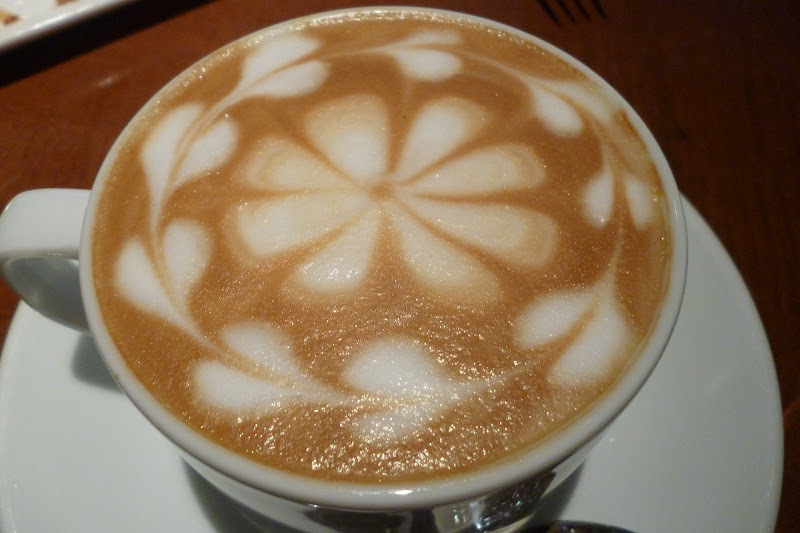 And just look how pertily they serve their cappuccinos! 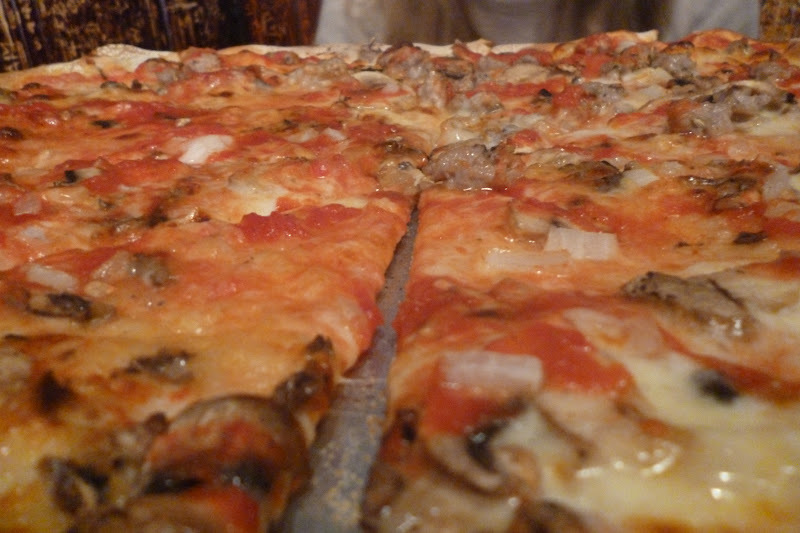 My final pit-stop was for spicy sausage and mushroom pizza at John’s on Bleeker. NY pizza wars are legendary. John’s may or may not be the best. Jack Black says John’s has the best brick-oven – so good he orders his pizzas plain. And Janice Dickinson (America’s Next Top Model is NOT the same without her) clearly finds John’s so delightful she can barely keep her skirt on. Suffice to say, it’s good pizza. I don’t know if burgers and pizza and hot chocolate count as material possessions what with them being temporary and all, but they sure do cheer a girl up. p.s. 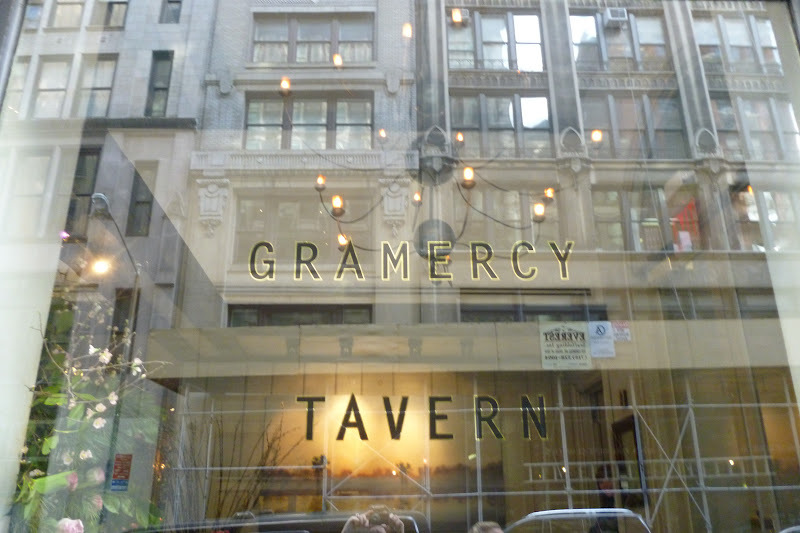 I’m going to try making the Gramercy chocolate pudding on Saturday night and if it’s any good I’ll post it here soon.